Panel - Supply Chain Disruptions: WHAT do they look like? WHY do they happen? WHAT can we do about them?" Greg Schlegel, Founder, SCRM Consortium, Lehigh University Adjunct, SCRM Consortium Lehigh University. Greg is the Founder of The Supply Chain Risk Management Consortium- (22) companies who bring skills, solutions and methodologies that Identify, Assess, Mitigate and Manage Supply Chain Risk. 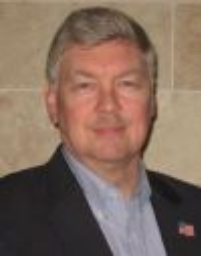 He has been a Supply Chain Executive for several Fortune 100's, he was a Supply Chain Executive Consultant for IBM and is the Executive-in-Residence at Lehigh University teaching Supply Chain Risk Management as well as Adjunct Professor teaching Enterprise Risk Management for Villanova University's EMBA program and VP/Principal at SherTrack LLC. Greg has presented papers on and has managed consulting engagements in supply chain management, risk management, predictive analytics, probabilistic modeling, Lean/Six Sigma and Theory of Constraints throughout the US and around the globe. Greg was APICS 1997 International Society President. He is well published, a frequent speaker at conferences, seminars, webinars and dinner meetings. Greg and Dr. Robert J. Trent, of Lehigh University, have co-authored a new book, Supply Chain Risk Management: An Emerging Discipline. The SCRM Consortium, utilizing their Body of Knowledge, is now supporting a Certificate in SCRM from APICS, a Certification in Supply Chain Resiliency, (SC-R) from The Logistics Institute of Canada and NOW, offering Lehigh's Certificate in Supply Chain Risk & Resiliency(SCR&R) upon completion of a NEW, Online SCR&R course. Greg speaks over 20 times per year, around the globe, at conferences and workshops and has authored over 120 articles in major supply chain magazines and journals. Panel - Supply Chain Disruptions: WHAT do they look like? WHY do they happen? WHAT can we do about them?